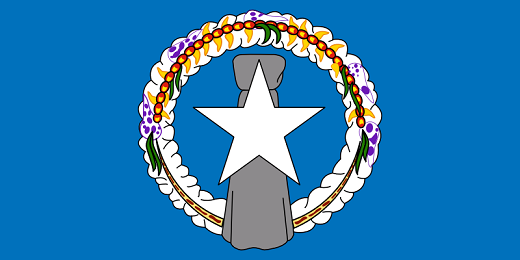 The flag of the Northern Mariana Islands consists of a blue field with a white star (reflecting the islands former status as a UN Trust territory). Behind the star is a taga, a Polynesian symbol of strength. Additionally, a wreath represents the link between the islands and their history. The flag was originally adopted (without the wreath) on July 4th 1976. The wreath was added in 1981.